Over the past year, the Canadian POS team has been elated to be able to offer our clients the Poynt Smart Terminal. The world’s first “smart” terminal, this revolutionary point-of-sale terminal can be described as a futuristic amalgamation of a tablet and a smartphone. The sleek and compact device offers two screens – the “tablet-sized” one for your customers to input required information to complete their transactions and the “smartphone-like” one that enables you and your staff to input information about the item or items being sold. On the Canadian POS Blog, we’ve often heralded the Poynt Smart Terminal for completely revolutionizing the ways in which credit cards and debit cards are accepted. As described by the Poynt website, it is a complete wireless payment solution that lets you accept payments anywhere, with the security and convenience you should expect in your payment solution. Poynt has recently launched Sonic Sync! Poynt has done it again! Just when you thought they couldn’t make payment processing any more convenient, they go ahead and unveil an incredible new feature that will allow merchants to keep on top of every transaction in real time! Sonic Sync is an amazing new app that can be downloaded to your smartphone or any other mobile device. It enables merchants to export all of the transactions to their Poynt Smart Terminals from QuickBooks Online, Sage Online and Freshbooks Online. By syncing all of your transactions, it will save you the immense amount of time and money that is usually spent on manually entering transactions. The majority of small business owners across Canada either spend hours on such accounting tasks or have to hire employees to perform the work. With Poynt Sonic Sync, your transactions become automatically synced. The feature also allows you to choose a custom date range to sync transactions to the app. You no longer need to wait to batch out to view your daily transactions! As mentioned earlier, Poynt’s new Sonic Sync app also allows you to keep tabs on your store’s transactions in real time. Previously, merchants would have to batch out at the end of the day in order to determine exactly how much money their stores made. Because batching out generally takes place at the end of each work day, generally speaking, a merchant isn’t able to tell how well business is going until the business day is over. 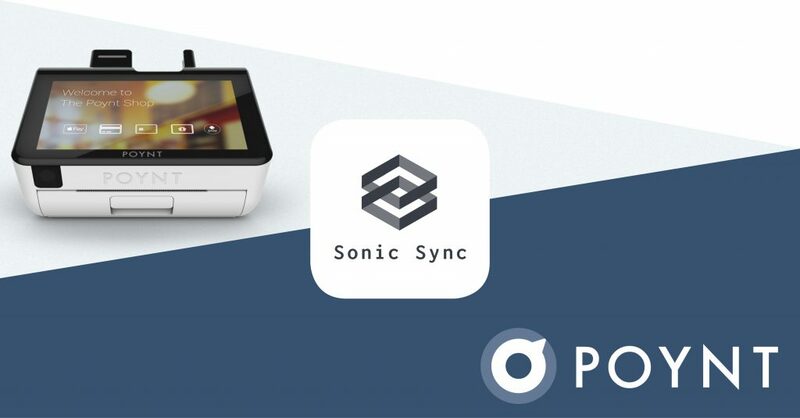 With the Sonic Sync app, however, you can simply log in to find out just how many credit card and debit card sales have been processed with your Poynt Smart Terminal – up to the minute! It provides you with much clearer insight into your sales totals and can enlighten you about the different points of the day when sales are the highest or the lowest. Poynt Sonic Sync is bound to boost your business in ways you may never have considered! If you’ve yet to take advantage of the revolutionary Poynt Smart Terminal, we encourage you to contact the Canadian POS team today to learn more about it. Please don’t hesitate to call us at 1-877-748-2884 or email us at info@cdnpos.com.